(Mobile, Alabama) – The History Museum of Mobile celebrated influential South Alabama women at its Herstory 2012 awards ceremony and cocktail celebration tonight. In keeping with its mission to “illuminate and preserve,” the History Museum recognized women who have made outstanding contributions to the region’s social, civic, economic, and cultural heritage. 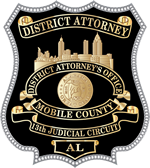 District Attorney Ashley Rich was recognized for her achievements in Public Service as the first woman to be elected as District Attorney in Mobile. “What an absolute honor to be recognized along side such amazing leaders of this community. I am more proud to see so many women continue to step up to make a difference in so many important areas”, said DA Rich after tonight’s ceremony. The History Museum will commemorate its 2012 honorees with a plaque that will be displayed in its auditorium.